Sugarcane is a tall grass, native to warm temperate to tropical regions of the Old World. They have stout, jointed fibrous stalks 2 to 6m tall and sap rich in sugar. In most countries where sugarcane is cultivated, there are several foodstuffs and popular dishes derived from it. Sugarcane can be consumed raw in cylinders or cubes, which are chewed to extract the juice and the bagasse is spat out. Mostly however, fresh juice is extracted by hand or electrically operated small mills with a touch of lemon and ice which makes a delicious and popular drink.Sugar is made into molasses and used as a sweetener and as a syrup accompanying other foods, such as cheese.Rapadura is a candy made of flavoured solid brown sugar in Brazil, which can be consumed in small hard blocks, or in pulverized form (flour), as an add-on to other desserts.Sugarcane is also used in rum production, especially in the Caribbean. Brazil is a major grower of sugarcane, which is used to produce sugar and provide the alcohol used in making gasohol and biodiesel fuels. Sugarcane cultivation requires a tropical or subtropical climate, with a minimum of 600 mm (24 in) of annual moisture. It is one of the most efficient photosynthesizers in the plant kingdom, able to convert up to 2 percent of incident solar energy into biomass. 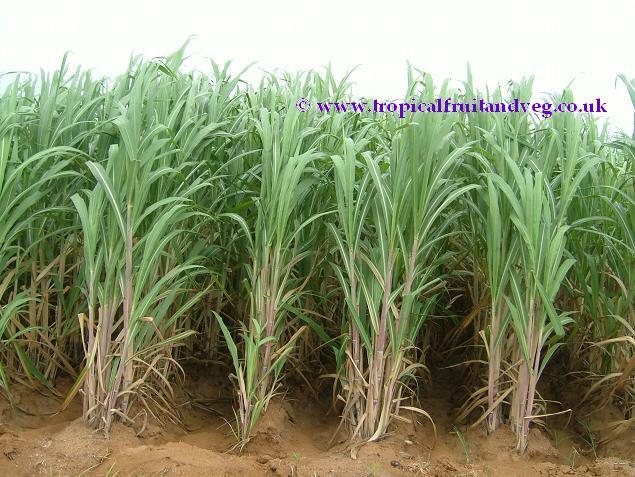 In prime growing regions sugarcane can produce 20 kg for each square meter exposed to the sun. Sugarcane is propagated from cuttings, rather than from seeds; although certain types still produce seeds, modern methods of stem cuttings have become the most common method of reproduction. Each cutting must contain at least one bud, and the cuttings are usually planted by hand. 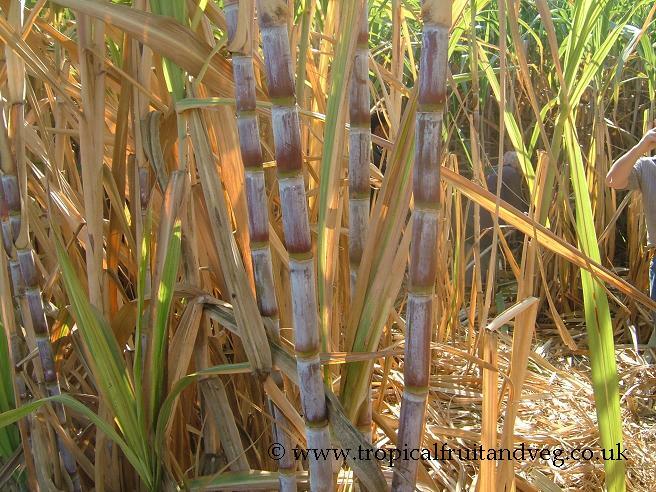 Once planted, a stand of cane can be harvested several times; after each harvest, the cane sends up new stalks, called ratoons. Usually, each successive harvest gives a smaller yield, and eventually the declining yields justify replanting. Depending on agricultural practice, two to ten harvests may be possible between plantings.